Wife, mother, grandmother, daughter, entrepreneur and friend – these are all the roles that Nanay Delia Natavio Herrera plays in life. While she is seriously committed to each of her roles, she quickly pointed out which matters to her the most. Family first. 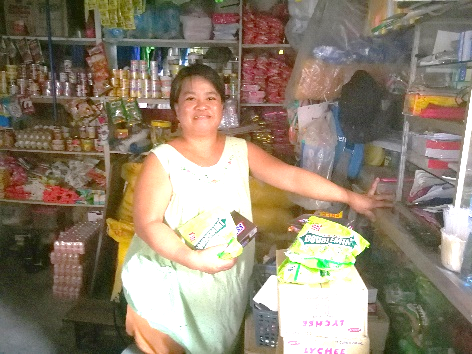 Wrigley’s stock point and retail store owner Nanay Delia Herrera’s priorities are clear. 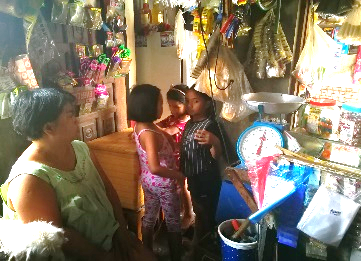 “Family first ako,” Nanay Delia proudly says over the noise of her seven grandchildren who are chattering and running around in her general merchandise store. 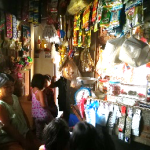 The 51 year old retail store owner is among the pioneer batch of TSPI clients who signed up for Project Bloom, the name of TSPI’s partnership with the American candy companies Wrigley’s and Mars, towards the end of 2014. 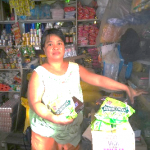 Under Project Bloom, stock points like Nanay Delia get discounts from purchasing Wrigley’s products such as Doublemint and Juicyfruit chewing gum, and Mars’ Snickers chocolate bar directly from their office in the Philippines. These products are delivered straight to her doorstep regularly. 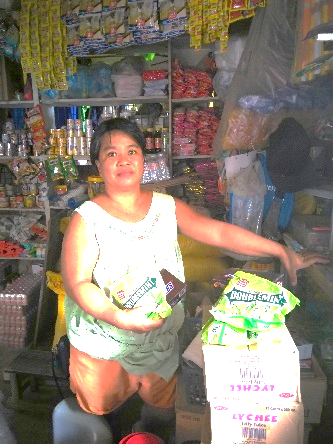 She earns profit from selling these at retail price to her customers, some of whom are also sari-sari store owners in their neighborhood at Pulong Kendi Road in the bustling city of Taguig. Her success as a retail store owner and Wrigley’s stock point is impressive, but her attitude in the face of all the challenges she faced to get to where she is now is even more so. Now married to Tatay Manolo Arsenio Herrera, Nanay Delia was widowed from her first husband who was the father of her first-born child. “Panganay ko si Benedict. Anak ko siya nung 18 years old ako. Namatay na yung Tatay niya pagkapanganak ko,” she shares. She has two daughters named Kristina Cassandra and Danheca with Tatay Manolo. When asked what or who pushed her to put up her own business, she said herself, but proceeded to share the entrepreneurial journey of her biggest influence and teacher in business: her mother. Her mother’s daughter. Nanay Delia considers her mother as her primary teacher in business. 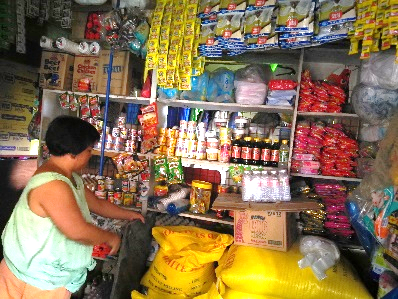 In this photo, she arranges her stocks in her general merchandise store. All throughout her interview, Nanay Delia spoke highly of her mother Nanay Noemi Natavio, who not only taught her how to be an entrepreneur, but also showed her how a wife and mother should be. Independent woman. 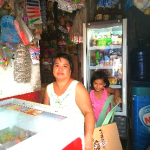 Nanay Delia heeded her mother’s advice and teaching that she should be independent even if she is already married. This powerful lesson was further emphasized by her father, who was also an entrepreneur. The closing of her father’s gun shop marked the beginning of Nanay Delia’s foray into being self-employed. 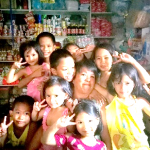 She could’ve chosen to stay longer in her stable job in Kuwait but her love for her children prompted her to come back to the Philippines so she can raise them herself. OFW turned entrepreneur. Nanay Delia spent seven years in Kuwait as a domestic helper before coming back home so she can focus on her children. 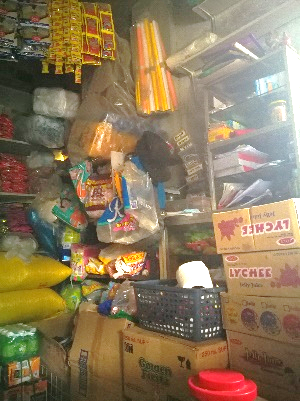 Since she found herself unemployed after arriving from Kuwait – a situation many overseas Filipino workers find themselves in after coming back home – she decided to give business another try by opening a general merchandise store, in the house of her sister-in-law where they used to live. When her sister-in-law retired from her teaching job around 2012, Nanay Delia’s family moved out of her house and purchased a lot nearby. Pioneer. Nanay Delia was among the first batch of TSPI clients who signed up for Project Bloom, to become a Wrigley’s stock point in Taguig. It wasn’t long after she opened her general merchandise store that Project Bloom was launched. Nanay Delia said she is not like other entrepreneurs who take big risks in business, admitting her doubts about Project Bloom. Sweets ban. 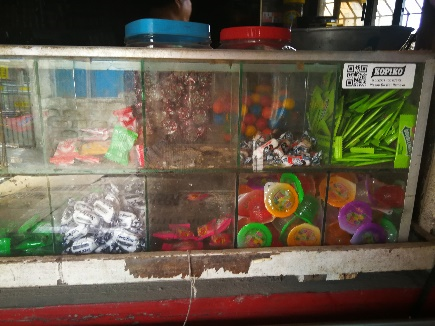 These candies and sweets – including the Wrigley’s doublemint gum on the top right – have been prohibited by the DepEd in schools beginning early 2017. But just like any other business, the opportunity also came with its own set of challenges. 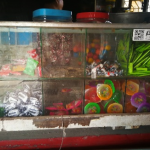 In Nanay Delia’s case, the biggest challenge came when one of her resellers slowed down in business at the same time that the Department of Education issued a new guideline, prohibiting the sale of sweets in schools. Strong and fighting. Nanay Delia emphasizes the need for a strong heart and mind because business challenges sometimes come successively. Her challenges as a stock point didn’t end there, citing her customers’ financial mismanagement and sickness as reasons for the decline of orders. 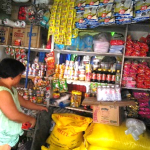 But in spite of these challenges, Nanay Delia maintains a positive outlook. She understands that running a business is similar to living life, where challenges unexpectedly come, and it is up to the person to hold on or give up. 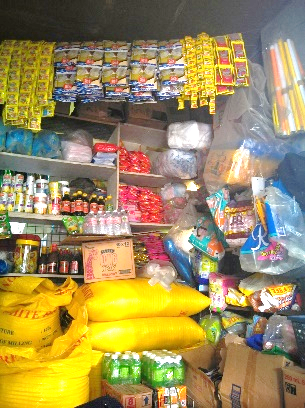 Well-stocked store. 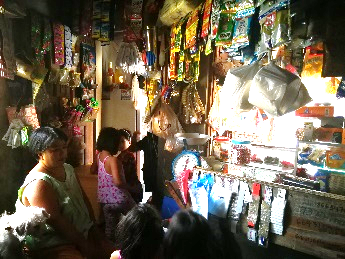 Nanay Delia sells a wide variety of products in her general merchandise store so none of her customers will go home empty-handed. 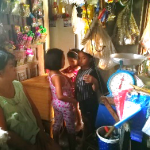 “Pabili!” a little girl calls out from the front of her store, signaling a break from our deep conversation. 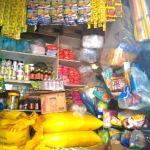 Retail store with wholesale options. 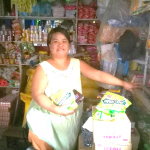 Instead of viewing them as competitors, Nanay Delia began offering wholesale to other retail store owners in her community. 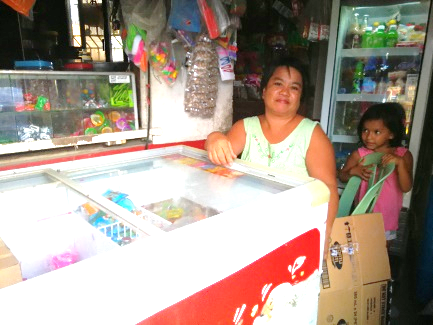 Years of applying the lessons she learned from Nanay Noemi and working hard as an employee and entrepreneur paved the way for her to send her three children to school – a crowning achievement for any mother. Core values. 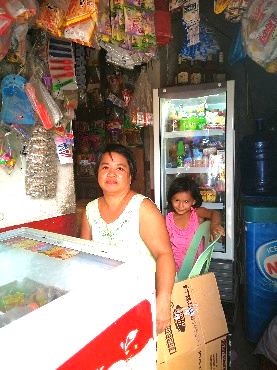 Nanay Delia lives by the values of diligence, persistence and financial management in her business - values she hopes to pass on to her grandchildren. Benedict took up an automotive course in Manila. Now 33 years old, he is already married, a father of five children and works as a driver with a transportation network vehicle service company. 30 year old Kristina studied Office Management at the Polytechnic University of the Philippines and now works at Taguig City Hall as an assessor. She is also married and has two children. Her youngest, 19 year old Danheca, is a sophomore studying Accounting at the University of Makati. Aside from this accomplishment, her financial discipline also helped her to purchase a motorcycle which Tatay Manolo used to augment their household income, as well as their own land. Loving grandmother. 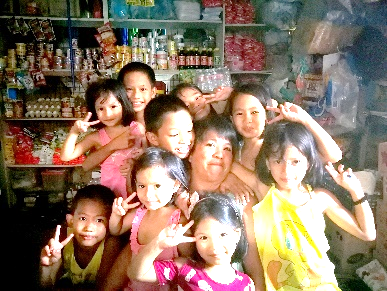 Nanay Delia strikes a pose with her seven grandchildren and two grandchildren of her sibling. 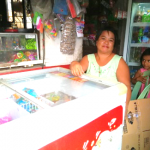 Nanay Delia takes pride in playing an active role in raising her grandchildren. 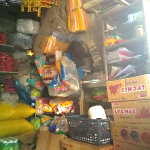 They help out in the store by arranging her stocks and discarding the empty boxes. She teaches them how to run it as early as now by telling them stories. She also discourages her children from giving her grandchildren money, because she believes they are too young to understand the value of it. By exemplifying the values of discipline, hard work and responsibility – the same values she learned from her mother, Nanay Noemi – Nanay Delia does her part in continuing her mother’s legacy.